The National Council of Educational Research and Training (NCERT) is an autonomous organization set up in 1961 by the Government of India to assist and advise the Central and State Governments on policies and programmes for qualitative improvement in school education. 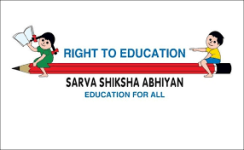 The major objectives of NCERT and its constituent units are to: undertake, promote and coordinate research in areas related to school education; prepare and publish model textbooks, supplementary material, newsletters, journals and develops educational kits, multimedia digital materials, etc. organize pre-service and in-service training of teachers; develop and disseminate innovative educational techniques and practices; collaborate and network with state educational departments, universities, NGOs and other educational institutions; act as a clearinghouse for ideas and information in matters related to school education; and act as a nodal agency for achieving the goals of Universalisation of Elementary Education. In addition to research, development, training, extension, publication and dissemination activities, NCERT is an implementation agency for bilateral cultural exchange programmes with other countries in the field of school education. The NCERT also interacts and works in collaboration with international organizations, visiting foreign delegations and offers various training facilities to educational personnel from developing countries. © Copyright 2017 NIRAV PATEL WWW.SSGK.INFO Education. Powered by NIRAV PATEL.